I feel a little like sourdough is a baking enigma. Or at least some sort of dreamy mystery for most amateur bakers. I loooove sourdough, but was completely fearful of it. The idea that you have this yeastless base in your fridge at all times, just waiting to be feed like sort of living being. A little scary, right? No? Maybe it's just me. Ready, bubbly and time for Sourdough Challah! 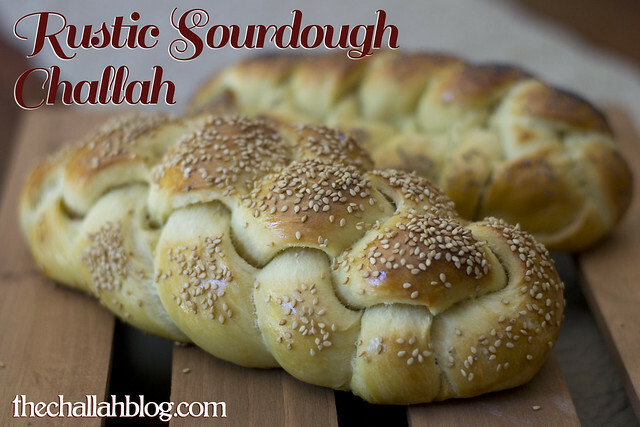 I relied heavily on Sour Salty Bitter Sweet's Sourdough Challah, though this recipe is quite similar in proportions to my Basic Small Batch Challah. What you really need for this challah is TIME. 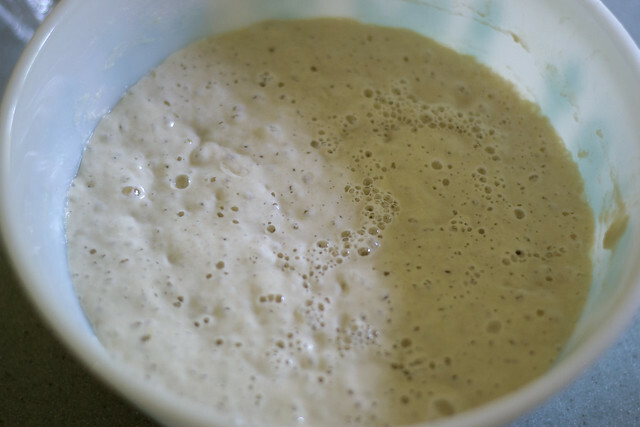 The sourdough starter needs about 12 hours to hydrate, and the dough rises really slowly. 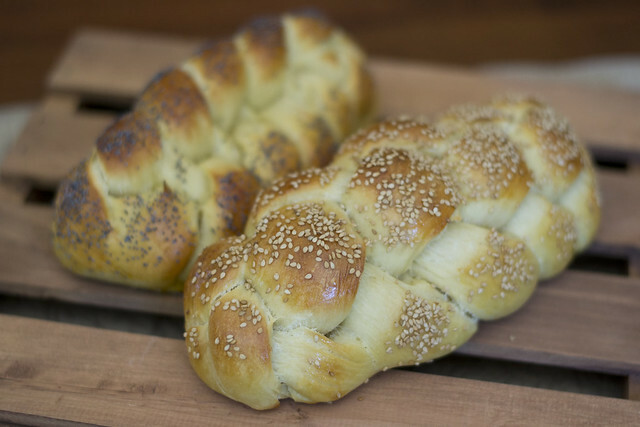 If you're making this for Shabbat, you'll need to start pretty early in the morning. Yield is 2 medium sized loaves or 1 large loaf. 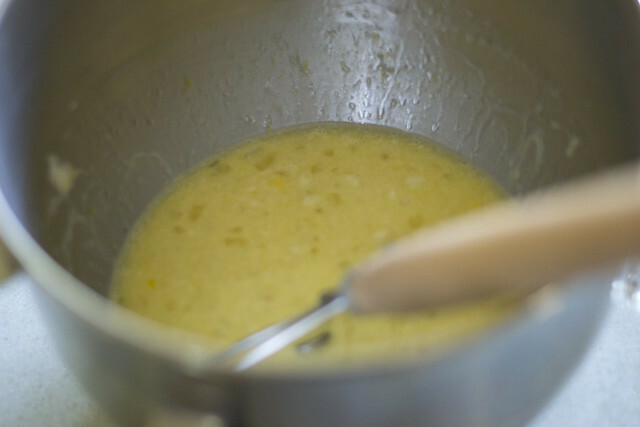 Mix together the wet ingredients: the starter, water, honey, oil, and 1 egg + the yolks. 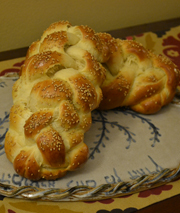 (This challah is much more fool proof... it's basically a dump challah.) 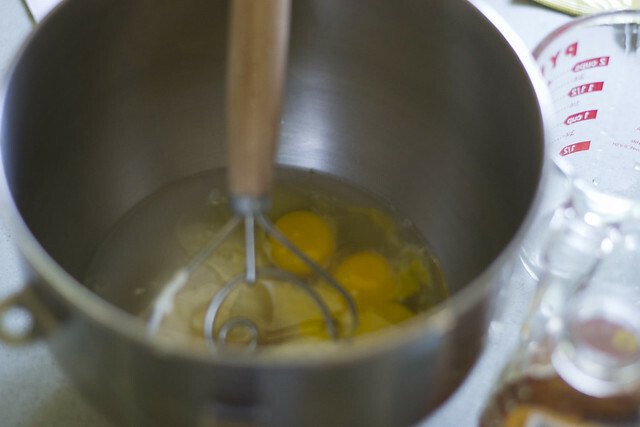 Mix everything together with a wooden spoon or large whisk. Add the flourand salt, starting with just one cup of flour. The dough is going to be more stiff than normal, so I recommend mixing it by hand initially, and then using the dough hook for the majority of the kneading (you can of course knead by hand). 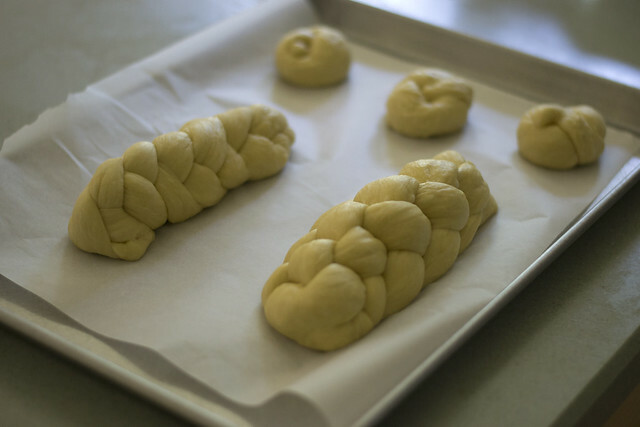 The dough will feel slightly stiffer than normal challah dough. At this point, take a moment and smell your dough. It should smell awesome. I just love that sourdough aroma. Yum. Braid as normal. And now for more TIME. Let rest at least two hours, preferably more. I had a casserole baking in my oven at 450, so I put the pan on top of the oven, which rushed the braided rise a bit. Eggwash and add poppy or sesame seeds as desired. Bake at 350 for 25-30 minutes, rotating the pan halfway. When I'm trying a new recipe, I always like to make a few rolls so I can sample before Shabbat! Wow. These smell like deli sourdough; I'm so pleased. The five-stranded braid isn't as pretty as I'd like, but the challah's didn't rip in the oven, so I think they're proofed enough. On the whole, the loaf isn't as sweet as my challahs usually are. However, this would make a delightful sandwich bread or dipping in soup... just what I was going for. Have YOU ever experimented with sourdough? Did I make any egregious errors? Shabbat Shalom from our bayit to yours! YOUR challos seem a bit underbaked. I have been baking a lot recently with wild yeast starter and have learned a lot about it which Ican share with you. Firstly,each time you use the starter and afterwards feed it-the starter becomes more potent. 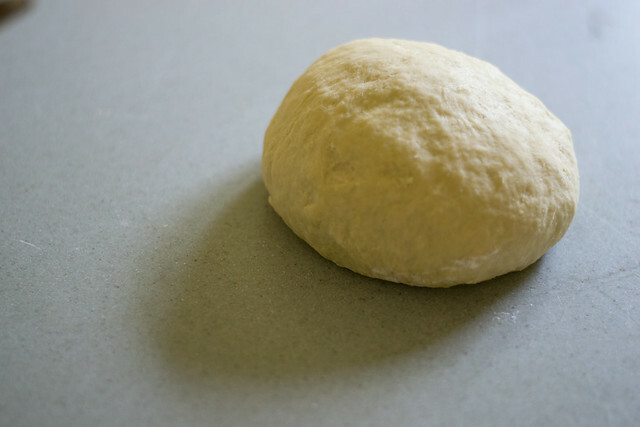 Next,whereas dry yeast can lose it`s potency -starter is more and more active the longer you leave it to rise. Thirdly,sourdough needs to be baked at a very high temp. and you should add ice cubes to the oven before you put the loaves in [after the oven has been heated] to create moisture and steam. Shabbat Shallom. Made this with my whole wheat starter. I used einkorn flour and butter, since we were not having meat for dinner. It was amazing! Thanks. Every oven is different, and will bake differently. You made no errors at all. Sourdough starter is so easy to bake with, and you don't necessarily have to bake at high temperatures. I've had my starter for about 4 years now, and there are some breads I bake at high temp, and others I don't. It's a matter of preference. The High Temperature is for getting a crispy crust, and with challah we don't want crispy crust. I took your half batch Challah recipe and converted it to sourdough, because I eat no other bread. I new to all of this. 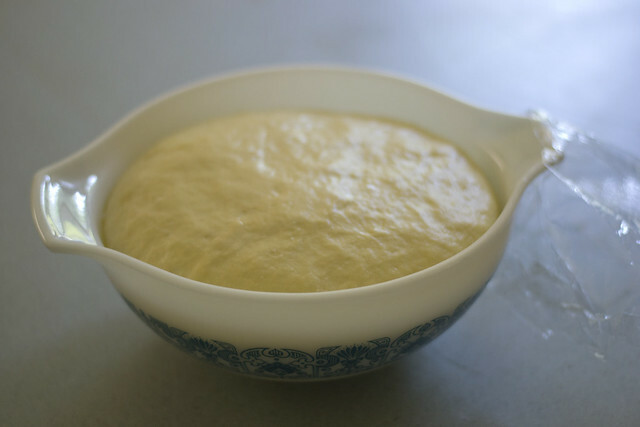 I just created my first sour dough starter, I hope it works out well. I will make small challah rolls for Shabbos and let you all know how it works out for me. Thank you for all the input. 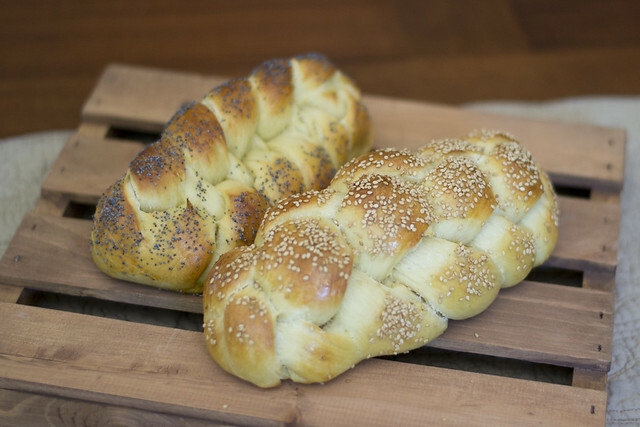 The dough is very sticky compared to regular challah dough, how did you braid it so easily? Today was sourdough challah day -- the first time I used my starter without additional yeast. I followed your recipe exactly. Waiting was indeed the hardest part, the dough was not stiff at all (that 3/4 cup of water might have helped). I agree that it's a little too not-sweet for Shabbat Challah. I wonder if adding more sweetener would inhibit the rise.